This is Renee ready to go to Lauren's Birthday Party last year, May 2006. 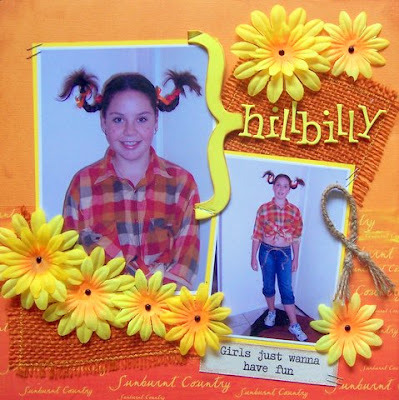 She made the cutest little hillbilly LOL. lol...yes she IS the cutest little hillbilly!! Leanne your layout is so bright and happy...love those photos!